Turns Sydney into a thing of beauty. This patch will allow the Sydney Follower mod to retain her Project Beauty appearance. Sydney Follower by drg6520 is an amazing mod. 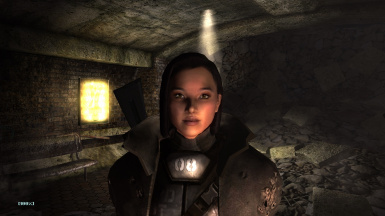 It turns our beloved treasure hunter into a full blown companion with hundreds of lines of dialog, excellent AI, and gives complete control over her using nifty tools like a hand radio. 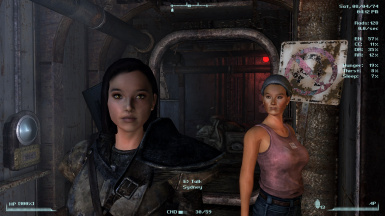 The Sydney Follower mod resets her appearance to vanilla, negating the effects of mods like Project Beauty. Her face looks like it was designed by Sheogorath. and her skin is completely yellow like she's got jaundice. The first thing I do after I recruit her is remove any whiskey in her inventory, hydrate her properly, and then slap a full face mask or helmet on her. 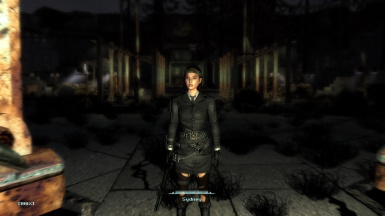 If I'm going to be wandering the wastes with Sydney for hundreds of hours then dammit she better be easy to look at. There are a couple options. 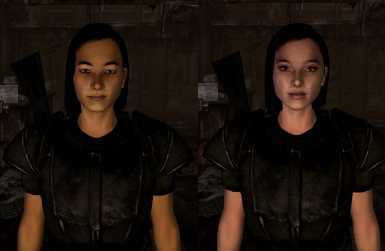 You could painstakingly edit her appearance yourself with the G.E.C.K. 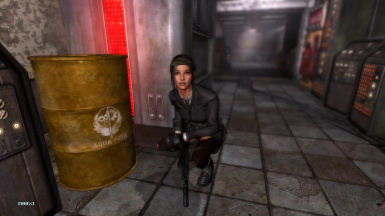 or you could download one of the handful of Sydney Follower makeover mods floating around The Nexus. Sadly, most require you to download an additional, fairly large mod like Lings. So unless you already use Lings, downloading 500mb worth of content just to edit one NPC's appearance might seem a bit... excessive. So here's a 1kb alternative. It won't hurt your game. Feel free to remove it anytime. This patch only effects her appearance, nothing else has been changed. She will act like Sydney Follower and look like Project Beauty. Simple enough. *Be sure to choose the correct file to download based on which version of Project Beauty you installed. Use Standard or HD, not both. **If you are unsure which version of Project Beauty you installed, use the Standard file. Place Project Sydney_AK.esp after Sydney Follower mod. drg6520 for his wonderful Sydney Follower mod. Dracomies for the fabulous Project Beauty. 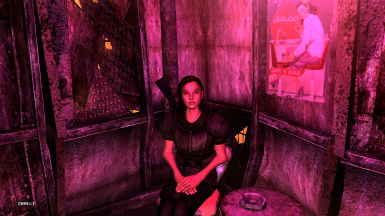 Bethesda for... I'll think of something.